Zoe: Mom, we are practicing for a big dance performance. I need to have a dress made and everything. Me: OK, sounds great. When is it? Well, lucky for us it didn’t end up being “next week”. After I asked 810 people from the school when it was, I finally got a better sense of what was happening. The word clausura kept being thrown around, which means “closing” in English. Given my Spidey-sense of language, I began to understand that this was some end-of-year show that was happening at the school. It was so important that the date was on our school calendar. That never happens. Around this same time I was added to the group chat of all the moms in Zoe’s class, mostly to coordinate their costumes. This turned out to be an excellent time sucker opportunity to practice my Spanish. But before we could discuss dresses, first we had to discuss rehearsals. Most classes rehearsed at the school in the few hours of the week they had free time or when a teacher didn’t show up for class. But I soon learned that Zoe’s class is very EXTRA. The moms are very organized, thanks to one mom in particular who organizes everything like it’s a God-given talent. She’s the Colombian version of me. I like her. So the first order of business on the chat was to discuss hiring a choreographer who would work with the girls a few times a week on their dance. Organizer Mom said it would come to $1.25 per student per rehearsal, and did the mamas all agree to this cost? I voted yes. Seemed like a good investment. Next we had to figure out the rehearsal location. 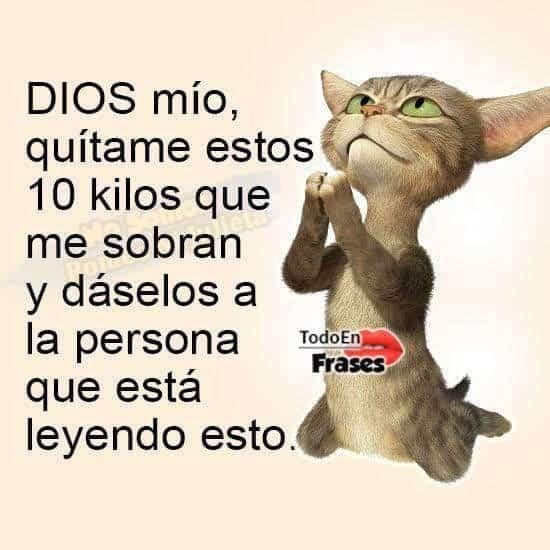 If you can imagine a group chat with 24 moms discussing options, in between sending out warning messages of drugs being disguised as candy and wishing other moms to take your extra body weight (see meme below), it got a little crazy. But it was good for my Spanish so I followed along. It soon became evident that we did not have a good place to practice. We needed SPACE for 24 girls to move about and it needed to be cheap or free but also close to the school. The moms were settling on a nearby park as a last resort but I decided to throw my hat into the ring and I offered up the community area and social room of my apartment complex. I live near the school, both of those things were no cost to me, it’s secure, has bathrooms, and the social room could be used in case of rain. Best of all I didn’t have to sit at a park for 2 hours twice a week. I offered it up, the mamas accepted and thus began “Dance Practice at Zoe’s”. Dance practice in the common area of our building. I learned a lot of dance commands listening to the choreographer. I am really good at saying “Lets do this, girls!” now. The practices soon had a routine to them. The niñas would start pouring into the building (with the guards allowing them all to enter but being a little wide eyed each time) and the speaker would come out, the music would turn on and soon a lot of neighbors would peer over their balconies. 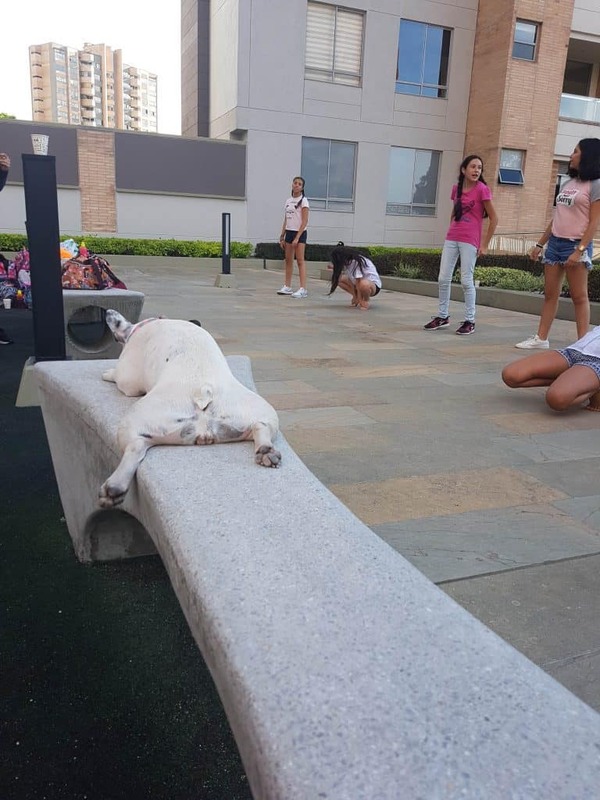 No one seemed to mind the loud music and most of my neighbors seemed intrigued by all these girls shaking their booties. I got a lot of smiles in the elevator, along with questions about how the dance was coming along. That’s my claim to fame. 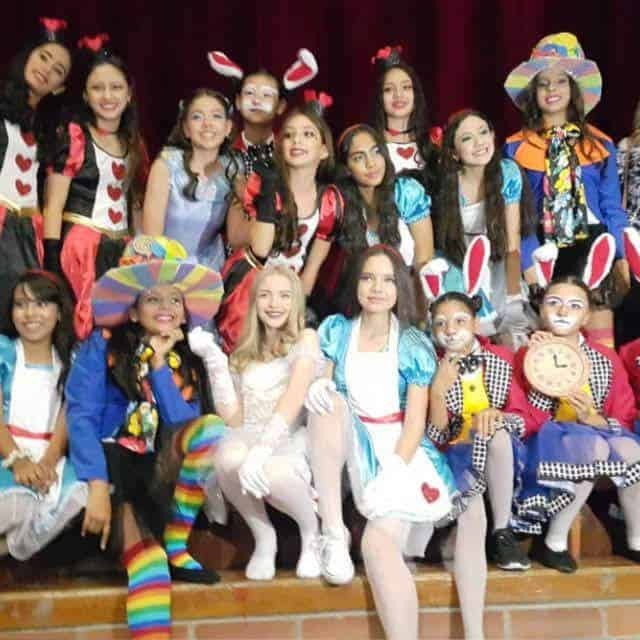 The theme for the clausura was “Movies” and each class was performing a dance roughly related to a famous movie. 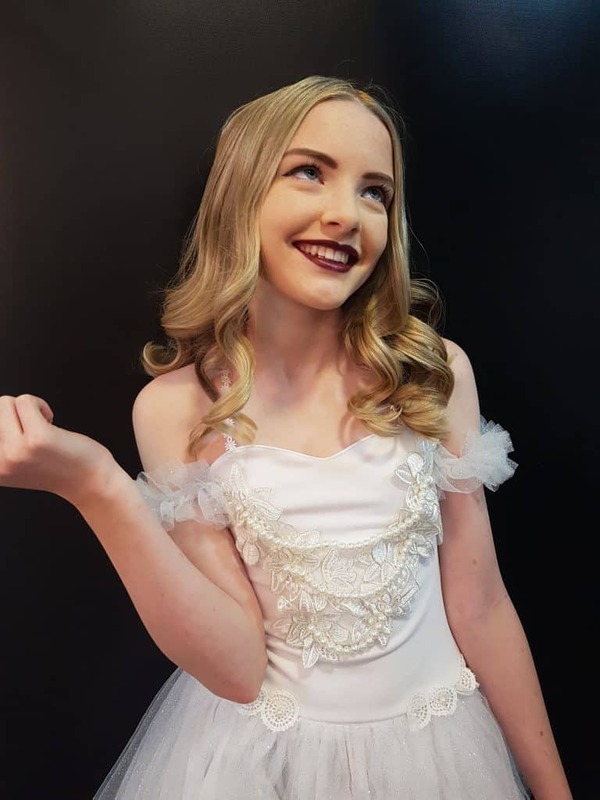 Zoe’s class chose Alice in Wonderland and Zoe was given the role of “White Queen”. 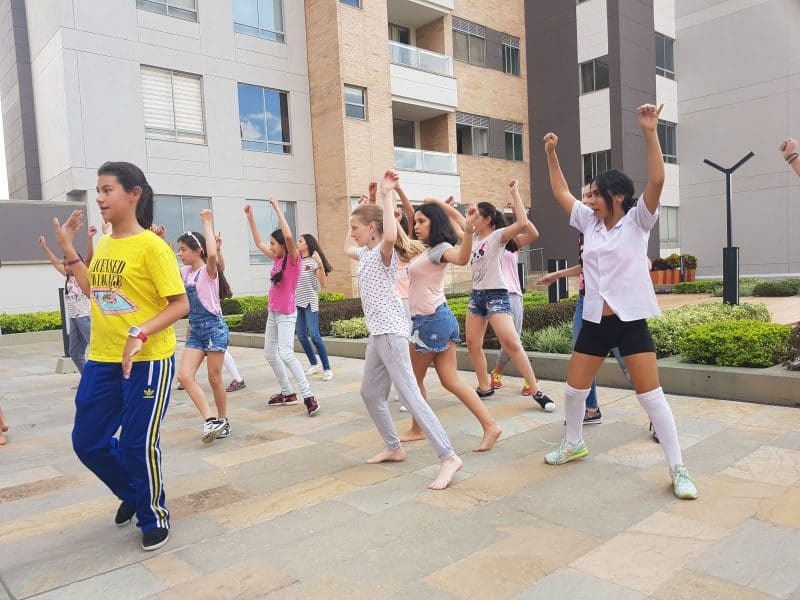 Early on in the process, one of Zoe’s classmates lamented to her mother: “We have a gringa in class and surely she won’t be able to dance like the Colombianas”. Boy was she wrong. Zoe had a role up-front and center and she came through with flying colors. Her last dance class was at the Little Gym in Oregon when she was 4 years old, but somehow she remembered how to move. Or maybe she’s been practicing her twerking at school? The more I watched the rehearsals the more I noticed that Zoe was in the center of the dance. 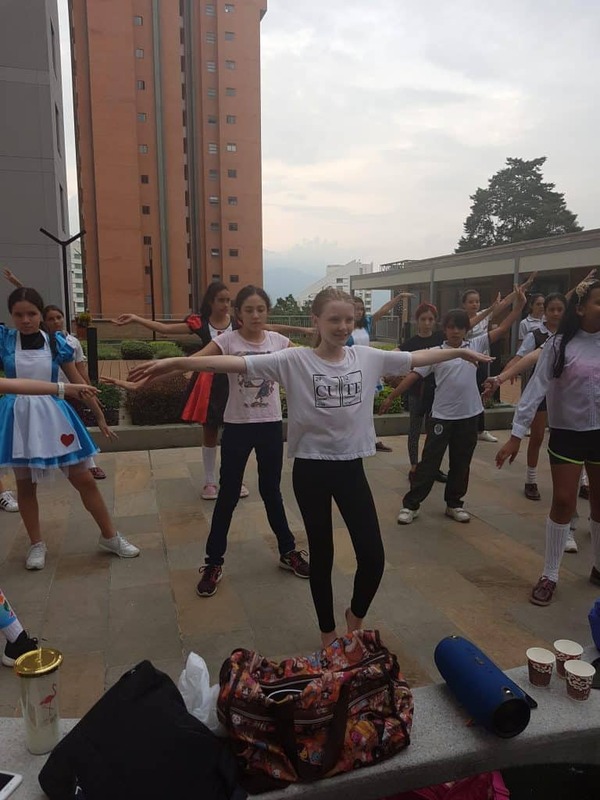 And lo and behold, she could actually dance as well as her Colombian classmates! The dance practices continued with ease and next we had to figure out the dress. Since Zoe was not part of a group (such as the bunnies or the queens of hearts) her dress did not have to be coordinated with others. This made it a lot easier on me. We did get a sketch of what the music teacher thought it should look like, and we had the dress from the movies to use as a guide. Conveniently, Zoe’s singing teacher’s mother is a designer so we asked her to make the dress. 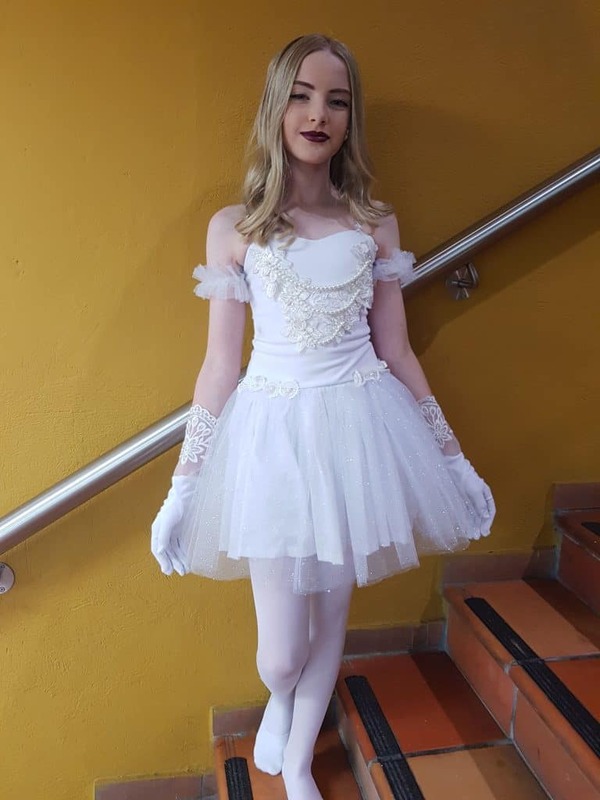 For $60 USD she designed and custom-made the dress and gloves. It was beautiful, and very very similar to the movie, and yet somewhat matching the other queens. In Medellin it’s really a culture of “Who You Know” and in this case I knew all the right people. Thankfully! One sketch, a few searches on the internet, $60 USD and soon we had this dress. A perfect fit. This was the look we were going for. The day of the clausura arrived and I blocked out the entire day for preparation. I even contracted with our school transportation guy to tote us around for the day. With appointments stacked up like planes on the runway, I did not want to deal with hunting down taxis for each errand. First we went out to the theater where the performance was being held. This was not just some auditorium, this was a full-on huge THEATER at the university with comfortable seating, ushers, lights, sound system and a large stage. This was the real deal! 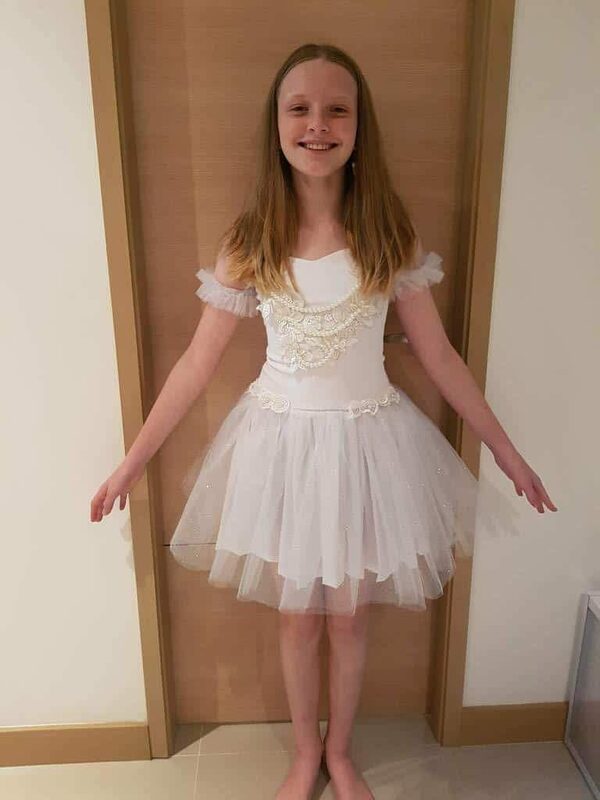 After a quick rehearsal, Zoe and I went for a final dress fittting and the singing teacher’s mother made Zoe some gloves on the spot to complete her outfit. Next was hair and makeup. The moms all discussed who would be getting hair and makeup done at the theater. I decided I didn’t want Zoe to get lice to take matters into my own hands and get it done at a salon near our house. Zoe had convinced me to get her hair highlighted to more fully commit to the part of White Queen so we did that the weekend before. 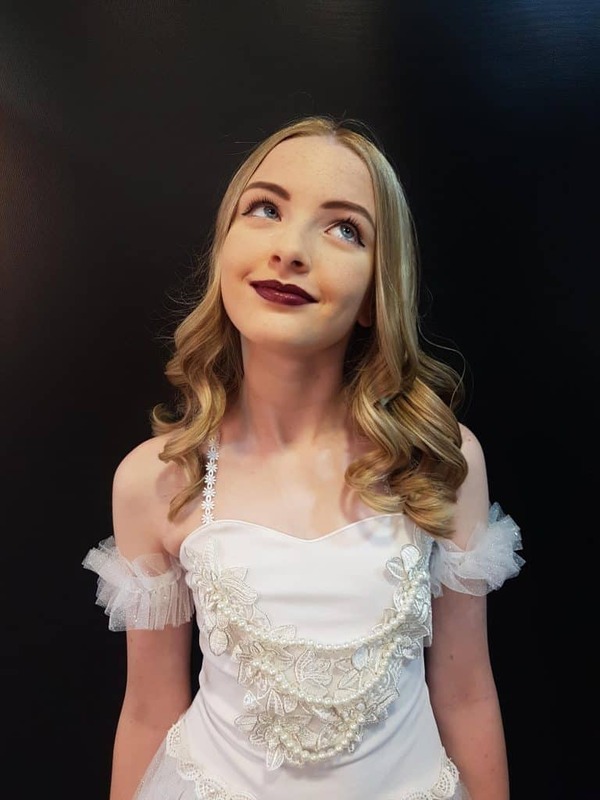 Now, on the day of the performance, we went back to get her hair styled and makeup done. Thus began the transformation from my 12-year old daughter to my 25-year old daughter in 90 minutes. Hair and makeup for an hour an a half: $30. Sold to the proud mom! 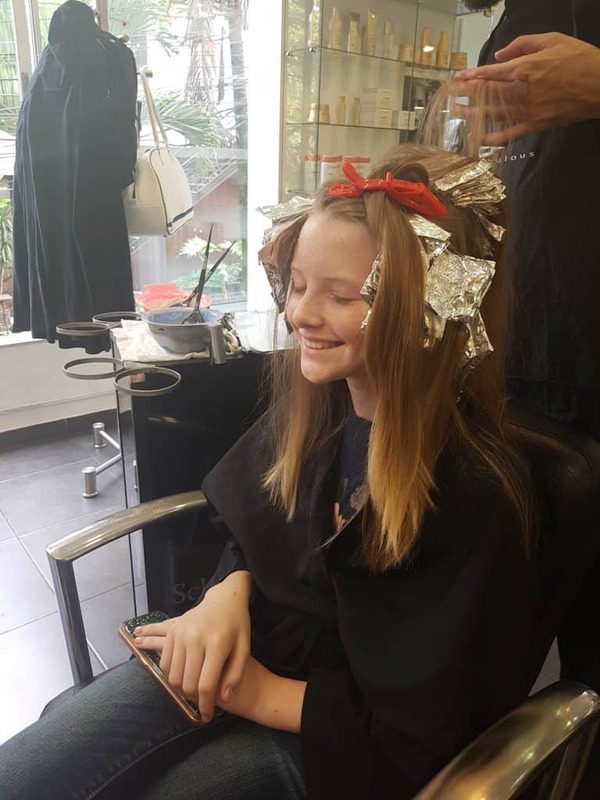 Zoe getting highlights. 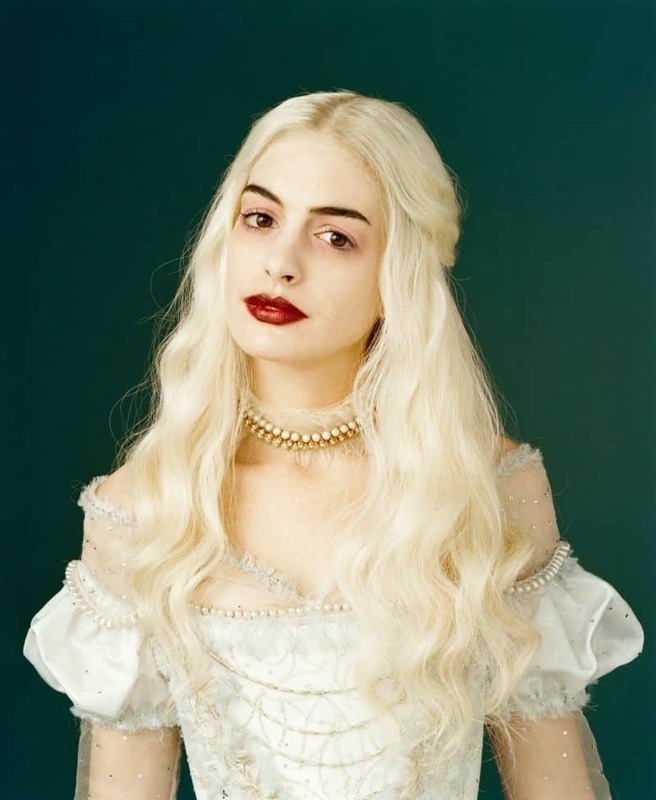 The White Queen needed to be as white as possible! 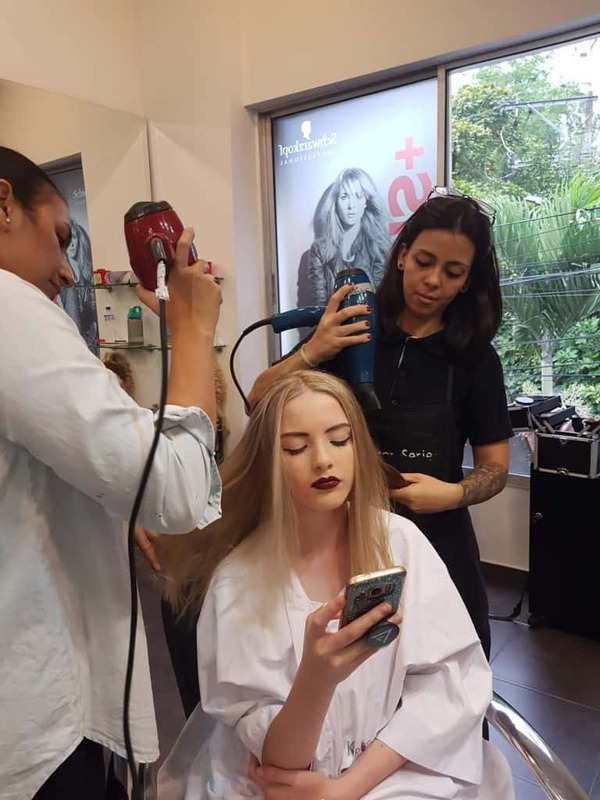 This is Zoe on the day of the clausura, getting hair and makeup done. She was entirely too comfortable being doted on. “Don’t get used to this, Zoe!” I kept barking at her. Final results after hair and makeup. WOW. Full costume, including dress and gloves. Remember, she’s 12 years old, folks! Next we headed back to the theater to save seats for Haley and Dan. Haley’s class was also performing but Haley chose not to take part in the dance once she learned that practice was on Saturdays a 8 am. Dan was happy to come see Zoe dance but he was pretty sure he’d need to put a fork in his eye for the rest of the show. There was a lot of requests for photos with the White Queen. This is Zoe and her homeroom teacher. 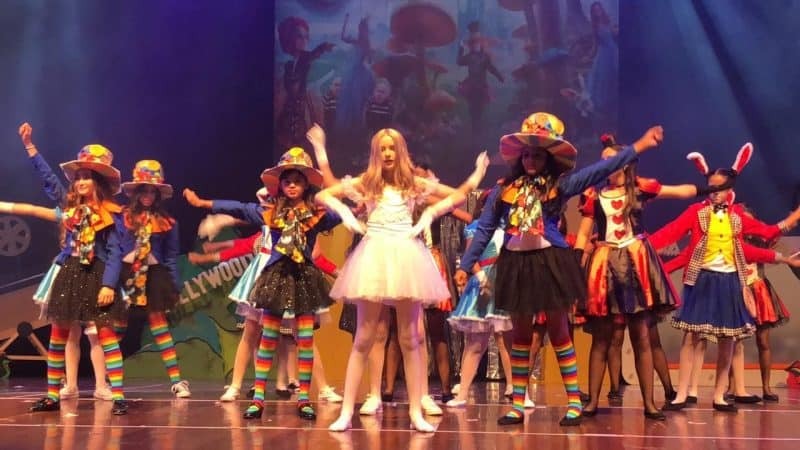 The show began on time, and the first act of primary school students came out, Dan’s video camera was turned on and for the next 2 hours we saw great performance after great performance. Dan was even impressed! It’s hard to impress Dan but this show did it. The costumes were amazing. Medellin is known as the textile capital of Colombia and that, combined with relatively cheap labor, meant that everyone had costumes made specifically for this show. And they were Broadway quality. Sorry for the fuzzy photo. I was in the moment and not taking pics, so I had to get this from another mama. You can see the details in the costumes are incredible. You can also see that Zoe is loving every moment. Somehow this girl has confidence oozing out of her white gringa pores! Enough talking. This performance speaks for itself. Watch Dan’s recording of it here. Don’t be afraid of the “sexto” – that means “sixth” in Spanish, which is Zoe’s grade. See how many times you can hear the F word in the song. Hint: more than 2! But if you’re like me and you have Dance Fever, you might want to check out a sampling of these other acts. Most notable are the adorable Cotton Eye Joe kids at :44, unauthorized 8th grader twerking in unison at 2:22, the adorable Ghostbusters with great costumes at 10:05, Zoe’s class, always worth another look at 12:26 and at 22:07 you’ll see the Once Girls (Seniors) – best of show, of course. They were simply amazing. Remember, this is a Catholic school show. Not a dance troupe or the drama class or a dance school. Can you image an entire school being this universally talented in the USA? I can’t. Snippets of the full show. Worth a gander! 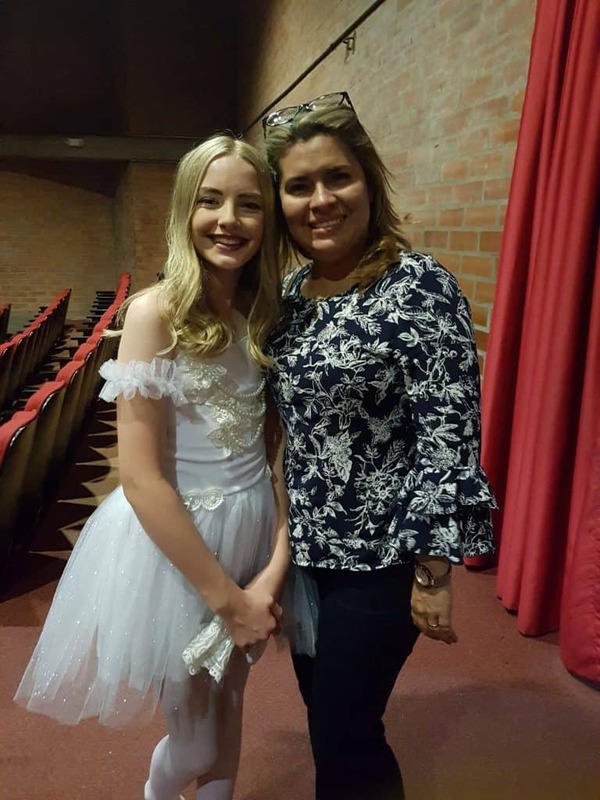 The clausura represented the end of the year and the completion of another full year of school outside of the USA for Zoe and Haley. They enjoyed it more than their year in Panama and so did I. I especially liked that Organized Mama. Just because she’s so cute, I’ll leave you with one final pic of Zoe.